8/5/2012- The Alpine Cowboys beat the Las Cruces Vaqueros with three swings of the bat. 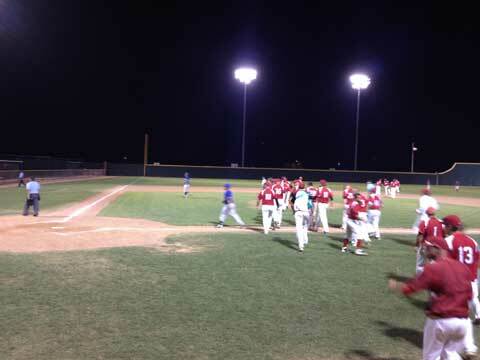 The big blow was Joel Carranza's three run homer off Derek Johnson in the 7th to tie the game 4-4. The Cowboys then got their power from the least likely source. Eric Herman hit the next pitch out of the park to give the Cowboys the lead in what would hold up for good. Alpine's other run came from a solo Home Run by Nacho Ochoa in the 2nd. 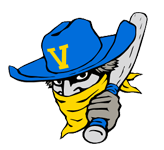 The Vaqueros turned four double plays and played well defensively but you cannot defend the long ball. Alfredo Caballaro came out to get the save in the 9th. Andrew Plotkin and Kevin Johnson each had solid relief appearences for Alpine.